Cars.com applauded the CLA model’s accessibility, as well as the “straightforward center controls,” and the list of standard features, including Automatic Emergency Braking. 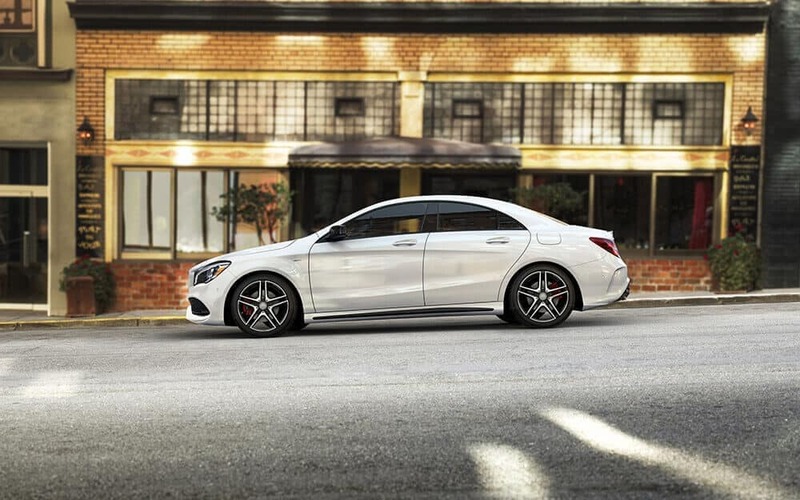 Motor Trend calls the 2018 Mercedes-Benz C-Class “fun to drive,” with a choice of either the CLA 250 208 hp engine or the powerful CLA 45 AMG® 4MATIC® 375 hp engine. If you want luxury at an accessible price, consider the 2018 Mercedes-Benz CLA. Browse our new Mercedes-Benz CLA inventory in a variety of CLA colors to find a model that’s right for you at Mercedes-Benz of Union near Bayonne and Scotch Plains. Also learn more about the CLA performance and see why it has people talking. To learn more about our other models, compare the Mercedes-Benz CLA vs the Mercedes-Benz C-Class.